Elena Denisova ranks as one of the finest and most charismatic violinists of her generation. Known for her great musical maturity, individual style of interpretation and supreme virtuosity, her performances have won critical acclaim from press and public alike. Denisova was born in Moscow and, as a young child, was fascinated by Jascha Heifetz’s expressive playing and versatility of tone; she loved listening to his records over and over in her childhood home. Her parents supported this highly sensitive talent, and she recorded her first LP, Wieniawski’s Violin Concerto No.2, while still a pupil at the music school of the Moscow Tchaikovsky Conservatory. Highly influential among her teachers were two of David Oistrach’s most renowned students, Valery Klimov and later Oleg Kagan at the Moscow Tchaikovsky Conservatory, which ranks as the foremost institution for Russia’s most talented musicians. She graduated with distinction. 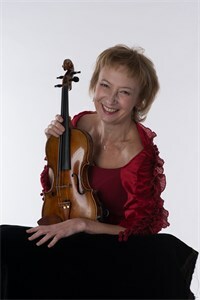 She has won many violin competitions and initially was active as a soloist and chamber musician in the former USSR – for example as soloist of the Moscow State Philharmonic and first violinist of the Moscow National Quartet. In 1990 she extended her concert performances to Western Europe, and found a second home in Austria. Elena Denisova has been an Austrian citizen since 1992. In Austria she founded the Österreichische Gustav Mahler Vereinigung, the Gustav Mahler Ensemble and the Classic Etcetera Musikvereinigung. She is also the artistic director of the Carinthian-based Woerthersee Classics Festival, which she founded in 2002 and which has already gained a strong international reputation. Elena Denisova lives for her convictions about how music can reach audiences today. She is a knowledgeable advocate of the music of our time, and international composers have dedicated highly complex pieces to her. 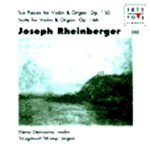 She covers the complete violin concert repertoire from the Baroque to the Modern, whereby composers and colleagues affirm that “she plays even the most complex and challenging modern works with the same self-assurance and inner logic as if she were playing Brahms or Beethoven” (Franz Hummel). Elena Denisova states: “People are moved by sensuousness in sound, and my priorities are expressiveness of tone and timing. A violin must sing in a familiar and yet completely unique manner, like a human voice. Every note must go under the skin. “The wealth in nuance, the effortlessness with which she masters musical challenges, the power of expression and adaptability of her tone and her extensive knowledge of the stylistics of all musical languages are just some of her wide-ranging artistic qualities. Countless tours have taken Elena Denisova throughout the world, to the USA and Canada but also to exotic regions such as Egypt and Taiwan, and to western and central Europe and also in recent years increasingly to the new EU countries, such as Bulgaria, Slovakia, Poland, Slovenia, Croatia and Hungary. She has performed at numerous festivals, such as the Carinthian Sommer Ossiach, the Bodensee Festival, the Flandern-Musikfestival, the Vienna Hörgänge and Klangbogen festivals, the Ljubljana Festival, the Russian Winter Festival in Moscow, the Concerti di Primavere in Parma, Beethovenfest Bonn and many others. Elena Denisova has been accompanied by numerous orchestras, such as the Moscow Philharmonic, the Royal Philharmonic Orchestra London, the Münchener Symphonikern, the Budapest Radio Orchestra, the Mozarteum Orchester Salzburg, the Trondheim Symphonie-Orchester, the George Enescu Philharmonic, the Sofia Philharmonic Orchestra, the Slovakian Philharmonic, the Berliner Rundfunk Orchester, the Zagreb Symphonic Orchestra, the Slovenian Philharmonic and the Kiev National Philharmonic, the Capella Istropolitana, Jose Carreras and Friends and of course her own formations, the Gustav Mahler Ensemble and the Collegium Musicum Carinthia. Whenever her calendar allows it, she actively supports and warmly encourages young talent - in master classes and as a jury member of international violin competitions. She teaches at institutions such as the Austro-American-Institute in Vienna, gives lectures at the University of Music and the Performing Arts in Vienna and works towards equal opportunities and advancement for young musicians. For many years Elena Denisova has been inspiring violinmakers to create new types of violin specially designed for playing 20th and 21st century compositions. She also collaborates with the Machold Rare Violins collection. Wherever she performs, Elena Denisova fascinates both public and critics: “Absolument remarquable!” [“Absolutely remarkable!”], enthused for example the French newspaper Le Courier Picard; “Unglaublich, diese Denisova!” [“Denisova is amazing!”], wrote the Hamburg-based Die Zeit; “Worthy of serious investigation”, stated the Dutch specialist journal The Strad about this remarkably authentic, likeable and modest artist. Fellow musicians likewise pay tribute to her: “She pursues and deepens her onward path in the art of the violin with clarity and conviction, and performs with immediacy, soulfulness and harmony”, wrote for example the well known cellist Natalia Gutman. The world is most certainly all the more rich for Elena Denisova – this violin virtuoso, ambassador of tonal sensuality and a fascinating woman with the air of an astonished child. Become a fan of Elena Denisova to hear about new music, videos, event info & special offers.